moeed apparel co is one of pakistan&rsquo;s prominent manufacturers and exporters of premium quality leather and textile products. our processes and enhance the quality of our products and service, striving harder to satisfy our customers. 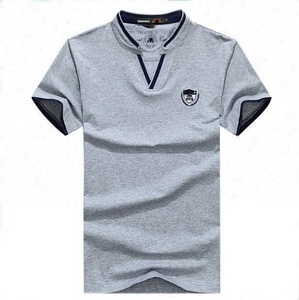 customer could have their own design/logo on the item soft-touch jersey mens slim fit v-neck collar t-shirt instead. our continuous improvement initiatives plays a key role to both ours and customer success. 10. Free Sample: (cooperation in order to return) 11. If you want a more accurate quote, please provide the model and other related information. 2. Color, style, size, fabric, printing (embroidery), and packaging can be done according to your requirements, be sure to meet your needs. 3. All of our clothes will be manufactured only after repeated examinations, quality assurance, delivery on time. dhl,ups,tnt,fedex, or more cheaper choose our big family of suzhou dongwu chamber of commerce safe begins with an 's',but it begins with 'u'. Let's get started with fashionable and personalized custom fashion apparels Welcome to Uniflying. Our Partners Lead-time and Freight Production time is 5-10 days according to your order quantity. Can i customized the rhinestone t-shirts Yes,we accept customized rhinestone t-shirts. and tell customer if any delays will cause to extra dock fee, and container detention charge ect. We have called and asked customer for cargos status once cargos get to customer warehouse. and realized products quality to be punctual to provide products information to clients. 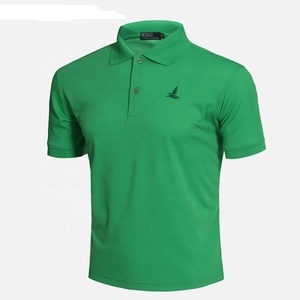 * The polo shirt can be with or without the side pattern ,we can design it as per your request . number ,before you place the order ,then we could check the freight rate for your reference . 7. Q: How can we make sure to get the correct size: Answer: We have our own size chart for your reference . w elcome to send us your samples or pattern, we can do as customer's requirements. designs will be kept as secret. Wenzhou Jiezhi Import And Export Co., Ltd.
sign contract and remit the deposit. * this shirt suit for men. so you can believe us absolutely!!! we will make the sample hats for you after payment received and take pictures for your reference once finished. Guangzhou Toturn Trade Co., Ltd.
2.A trusted fashion designers team , know the latest fanshion trend. After you choose 1. We will count cheapest shipping cost and make invoice to you at once. Q2 : Can you do customized garments with special color and logo based on your design9 A: Yes, we can. we manufacture various suits, wedding suits, and bussiness suits in bulk, all products can be customized! fabrics of wool or polyester, all colors you require, are available. if you are looking for a reliable manufacturer concerned about a worry-free process, guangzhou senhao is your choice! we are specialized in designing, manufacturing and selling garments. 2.Any color and any size are available,we can put your logo or brand on it. 5. Q: How can I get some samples9 A: We are honored to offer you samples. 6. Q: How does your factory do regarding quality control9 A: Quality is priority. Dongyang Yizina Clothing Co., Ltd. If you are interested in any of our products, please do not hesitate to visit our website or contact us for more information and pictures. We are looking forward to establishing long-term and cooperative relationships with you. 7,What is the location of your company9 Our company is located in the Zhejiang ,China. 2.Various fabric material, patterns and sizes are available. 3.Your own logo or brand can be put on, suitable for advertising and promotion. 4. To develop new products according to your supplied samples or designs. Welcome send your own design to us for making samples. 5) We are the professional garment factory. We have high quality products with excellent service . Order stage After order confirmed , we start the sample production , and then send clear photoes of sample for your approval before bulk production . 3.Q:What's your turnaround time 9 A:Sample time :3-5days after order confirmed , We can complete mass production within 10 days after sample approval . 11.Q:Can we get a sample first before mass production 9 A:Usually , we make the products after order , and then take photoes for your approval before mass production . 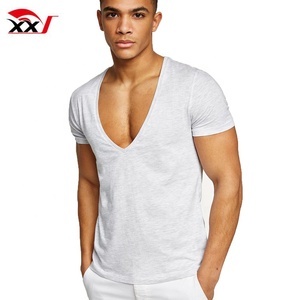 Alibaba.com offers 7,381 v-neck collar t-shirt products. About 66% of these are men's t-shirts, 1% are men's shirts. 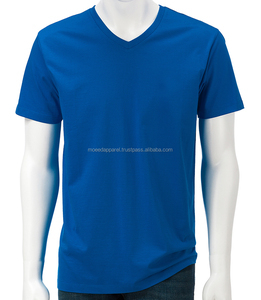 A wide variety of v-neck collar t-shirt options are available to you, such as free samples, paid samples. 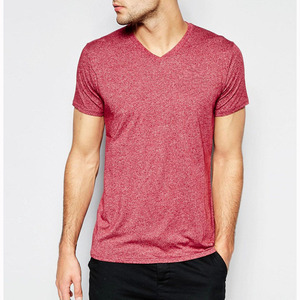 There are 7,367 v-neck collar t-shirt suppliers, mainly located in Asia. 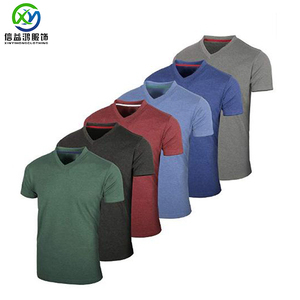 The top supplying countries are China (Mainland), Pakistan, and Bangladesh, which supply 73%, 20%, and 3% of v-neck collar t-shirt respectively. 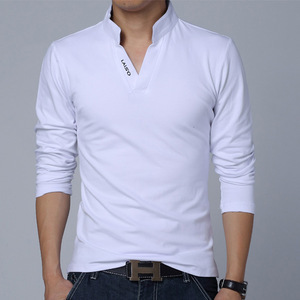 V-neck collar t-shirt products are most popular in North America, Western Europe, and Eastern Europe. You can ensure product safety by selecting from certified suppliers, including 602 with Other, 111 with ISO9001, and 75 with BSCI certification.